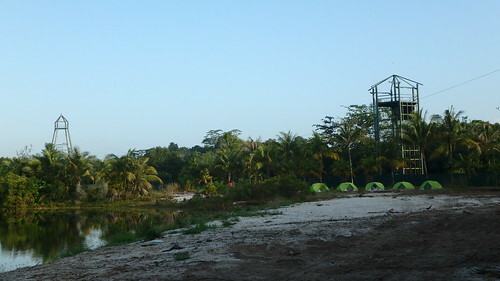 Engage the entire family on a 2 day 1 night camp on Pulau Ubin! 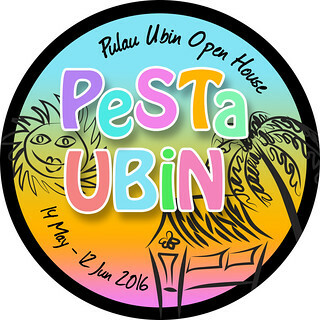 Come to the rustic Ubin Living Lab! Be rewarded with family bonding time, fresh air, and learning more about Pulau Ubin's amazing wildlife, heritage and way of life. 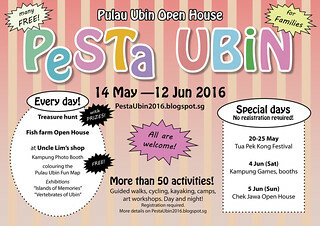 Join guides from Cicada Tree Eco-Place camping in a tent at the rustic Ubin Living Lab. A special opportunity for a family camping experience! Watching wildlife on evening, night, and morning guided nature walks along Ubin's kampong trails. Experience life the "Ubin Way" by living simply, caring for and respecting each other and all living things. 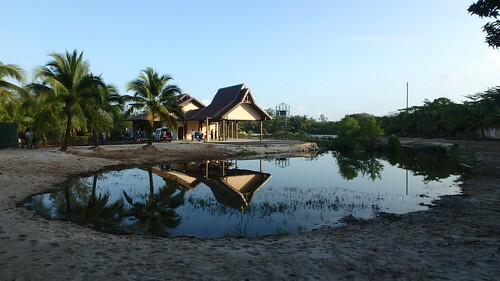 Learn about Ubin's rich natural and cultural heritage. Then pledge to make a difference in our daily lives as stewards of our planet. Be rewarded with family bonding time, fresh air, and learning more about our precious native plants and animals, such as the sea hibiscus, sea almond, bakau mangrove tree, large-tailed night jar, common palm civet, crab-eating macaque and wild pig! If we're really lucky, we may spot the greater mousedeer or pangolin! Cost: $100 per person, adult or child, 6 years old and above. The cost excludes lunch, breakfast and bumboat rides to and from the island. The cost will include fun and educational nature activities and three guided nature walks plus dinner at Kampung Ubin! At this time, there are no halal restaurants on the island, so instead, you may bring your own halal cup noodles for dinner and we will boil water at the campsite. If you are bringing your own dinner (only cup noodles is suitable as there are no cooking facilities at the campsite), the cost of your camping trip will be $85 per person. This camp is limited to 30 participants. All participants aged 15 years and below must be accompanied by a parent or adult guardian. All participants will need to sign an indemnity form. There is no clinic or doctor stationed on the island but quick evacuation is available in case of emergencies. It is a 5-minute police speedboat ride back to the mainland and then to Changi General Hospital. All participants will sleep in twin-share tents provided, and pitch the tents up together with us! There are no shower facilities at the Ubin Living Lab, but thankfully, there are porta-loos! We may walk to public toilets about 100m away and outside the campsite. For a bath (if one is really needed), we may be able to get one from a villager's home at an extra $3! The full program and more details will be provided to confirmed participants, upon registration. Registration required. Registrations have closed. Families camped out at the Ubin Living Lab! They explored Ubin during the day, as well as at night! They saw snakes (seven of them! 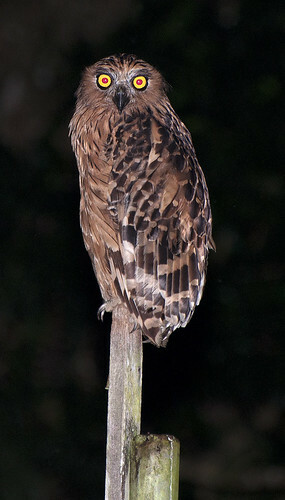 ), mousedeer, buffy fish-owl, wild pig, heard the spotted wood-owl and collared scops owl and lots of other birds. They also encountered mangrove flora and fauna, many insects including the eight-spotted spider in her nest packet of 3 leaves! Bravo to the intrepid families! Grateful thanks also to volunteers Kialing, Teck Wee and Hang Chong for their help. And expert wildlife spotters, Ing Sind, Ingg Thong and Ing How who helped us spot snakes, frogs and toads, hear owls, etc.